With the small space of the RV it becomes necessary to absorb moisture and odors. Moisture and odor often go hand in hand. 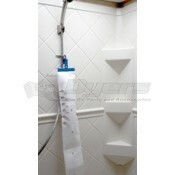 Moisture build-up in walls and clothing leaves everything with a musky, mildew odor. At Dyersonline.com we have what you need to fight both of these offenders. Bathrooms and laundry areas are notoriously hard to keep properly ventilated. The Eva-Dry E-333 dehumidifies quietly and effectively for areas of up to 500 cubic feet large. 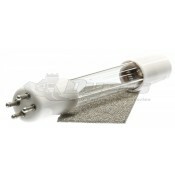 With the Eva-Dry E-333 you don’t need to worry about batteries or cords it is effective for up to ten years. 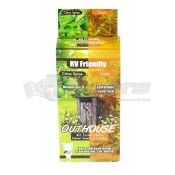 It is environmentally friendly, non-toxic and safe around pets and children. Keep the dehumidifier in the closet to help remove excess moisture from fabrics or the bathroom. 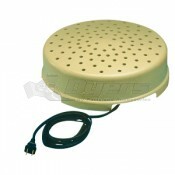 The dehumidifier absorbs any evaporating water. Dehumidifying the bedroom can also help reduce dust, helping those with allergies. 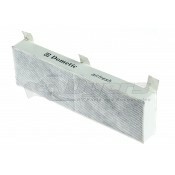 A dehumidifier is an important tool to any allergy sufferer. Keep the Eva-Dry E-333 in the cabinets to extend the life of your dry food by absorbing excess moisture. Use the Eva-Dry E-333 when you are heading into humid climates because it isn’t the heat; it’s the humidity. If you dehumidify your living space you wont need to use the A/C as much. Unpleasant odors become overwhelming when in a confined space. 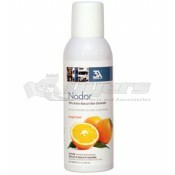 Nodor eliminates odors so you can breathe easy. Just 1 or 2 sprays of Nodor into the air will absorb odors like tobacco smoke, trash, vomit, urine, or inappropriate pet elimination. You were unfortunate enough to have a skunk spray around your RV, a few sprays of Nodor will have everything smelling fresh quickly. For added effectiveness spray Nodor into your heat or air conditioning vent while the fan is on giving you faster odor relief in a larger area.